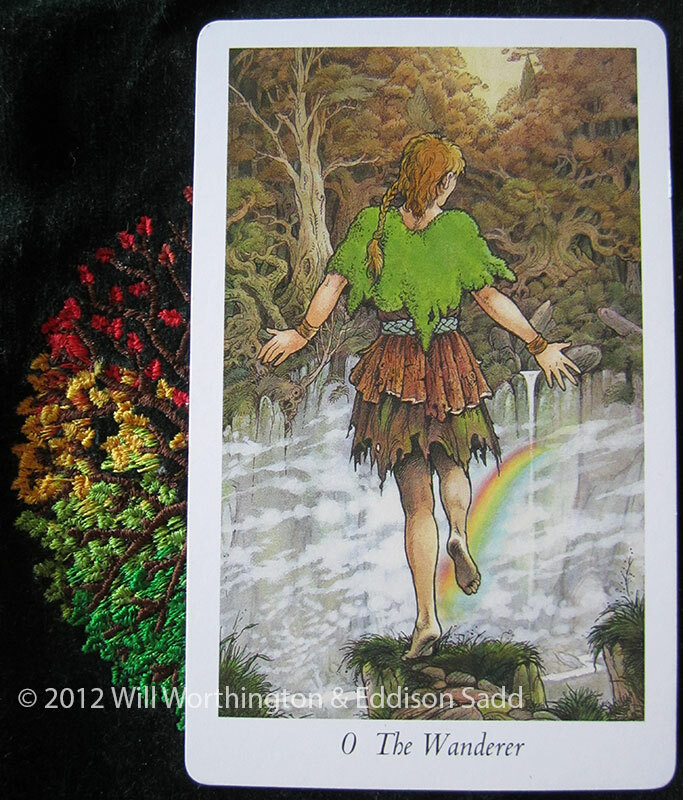 The Wildwood brings to us The Wanderer crossing the rainbow bridge, starting something new, taking a leap of faith whilst being aware of what we’re doing and the why. The Wanderer comes out and joins us today, reminding us to do and try something new, to take a leap of faith. Any burdens from the past are left behind, they’re stones that we no longer need and ought not to carry around any more. Our intrepid Wanderer here is ready and has already started making a leap into the unknown, the cycle of beginning again has come full circle. Is the Wanderer wise to let go of the strife from the past, to cut the cord and move on? Or are they doing it from fear? Taking the context card of “Conscious Desires” into account, I feel that the Wanderer is fully aware, this time, of what they’re doing and why. They’re aware that in order to get what they want, it’s time to move on. Here in the UK, the schools are either just out for their summer break, or are about to finish up for the next six weeks. Every pupil will be taking the next step to a new class, new teacher, some will be going to new schools and some will just be getting ready to start school for the first time. The times are changing and their journey is about to change, one changes, one begins. The wisdom and strength that have shaped the experiences that have bought our intrepid friend, and perhaps yourself, to this new start. So, take the influence from The Wanderer for the remainder of this week and take the plunge, be brave, follow your heart and be consciously clear about what you want. Then have fun when you go out and get it! Please do share this across your chosen social media outlets: I love it when my posts are shared! This is a wonderful card! I can feel the motivation behind it. I do relate to it in that I can feel myself starting to move forward again after struggling with the neck injury I’ve had. I’m not fully recovered–not even sure what that will mean for me–but I’m a lot more capable of doing things in daily life and starting to feel some energy again. Although I wouldn’t say I’m wandering into brand new territory, I do feel myself evaluating choices and steering myself a bit differently. Great card for me today – thank you! Very timely card for me as I move forward with a new development in my work right now. I love the spirit of the wanderer as I explore my inner terrain of responses as well as the outer risks I am taking. Thank you! You’re very welcome, Vicki! The free spirit of the Wanderer and going: Ah, just DO it! is brilliant! Any burdens from the past are like STONES, why do we continue to carry them around? Let us ALL drop them together today and move into our Power. Don’t Fight – Don’t Resist – Just Apply Yourself + Get Focused. This resonates with me very much – lots of new starts right now – time to take a leap of faith! Love it, thanks Louise! !